Jim Rea is a residential broker associate at Sotheby's International Realty Pacific Palisades. Prior to joining Sotheby's, Jim was a broker associate with Keller Williams in Santal Monica and Pacific Palisades. Prior to his career in residential real estate he was a business broker with Sunbelt Business Brokers of West Los Angeles and prior to that he was a principal in Healthcare Developers, LLC a developer of specialized medical facilities. Jim relocated to California in the late 1980's to pursue his interest in the entertainment industry. There he went to work at Fox, Inc. where for eight years he served in a variety of capacities including having responsibility for the company's world-wide systems and telecommunications operations and for new media business development activities. After leaving Fox, Jim focused on the new phenomenon of the Internet. He published the industry bible "The Television Broadcaster's Website: Its Form, Function and Operation", a definitive study of how broadcasters use the web for their businesses. He also worked on the senior management teams of two high-flying Internet companies: GeoCities (one of the top five destinations on the web), where he was head of business development and iBeam Broadcasting where he was part of the founding management team and head of the media services division. Jim also briefly served as the CEO of MixMe Networks, an internet startup focused on the development of dynamic audio presentation technology. Jim Rea spent several years developing and operating ventures in support of the fine art community. Art Marketing Unlimited provided marketing services to artists, dealers and arts organizations. Collectors Services, Inc. created ArtCat, an innovative service to catalog private fine art collections. CSI also created ArtistsOnExhibit.com, a web based database featuring the largest collection of art exhibition listings in the country. 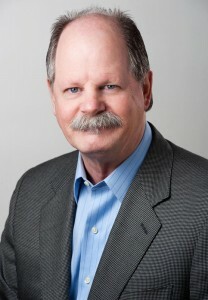 Jim's education includes a BBA in Accounting and an MBA, both from the University of Texas at Austin. In addition to Jim's real estate experience, he has an extensive history of experience working with a wide range of transactions including venture capital and private placement transactions as well as business purchase and sale transactions. Jim and his wife Jodie are avid collectors of western, southwestern and California fine art. Together they serve on the Board of Trustees of the Autry National Center and are active committee members for the Autry's Masters of the American West, one of the largest exhibition and sales of fine art in the country. Jim is also a member of the Board of Directors of the California Art Club. Founded in 1909, the CAC is one of the oldest and largest professional artists organizations in the country. Jim and Jodie also serve on the Advisory Board of the Central Coast Wine Classic, an annual charity wine auction held every July in Avila Beach, California. Jim is a skilled photographer, graphic designer and when he has the opportunity, enjoys fine woodworking. Jim and Jodie have lived in Pacific Palisades since 1994 in the upper Marquez area and he served on the Pacific Palisades Community Council for four years . Jim focuses on properties on the west side of Los Angeles in the Pacific Palisades, Malibu, Santa Monica, Venice, Marina del Rey and Brentwood communities but he also works with clients throughout Southern California and across the country.